Iori Yogo wins his second APT Championships Event title! Japanese pro Iori Yogo became the first player to win a second APT CHAMPIONSHIPS EVENT title! He overcame the 71 entry field loaded with pros to claim the PHP 2,872,800 first prize and the exclusive APT Championship Ring. 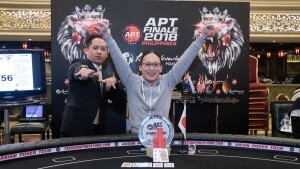 The APT Finale Philippines 2018 – CHAMPIONSHIPS EVENT – ran from December 3 to 5 at Resorts World Manila with 71 runners. Alike previous editions of this event, a large majority of the field were decorated pros with the buy-in at a hefty PHP 165,000. The prizepool amounted to PHP 10,330,500 of which 12 players earned their respective share. You can read up on the action in our LIVE UPDATES. We also have brief recap below. For Jin Yong, he won his ticket through a satellite, something he’s actually done before. 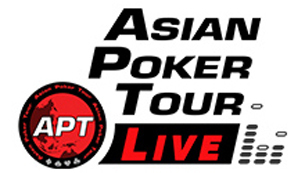 Two years ago, Yong brought his satellite ticket all the way 2nd place at the APT Philippines Main Event. Though he didn’t get quite as far this time, it is still quite a big return. 10th place finisher Takao Shimizu was also quite impressive, he finished 10th in both the Main Event and Championships Event. The Final 8 was an all international powerhouse lineup with each one representing different nations. The players returned today led by the heavily decorated Bobby Zhang from Australia. The list also included Japan’s Iori Yogo and Korea’s Lim Yohwan, the only two players gunning for a second APT Championships Event title. On hand #16, USA’s Andrew Nguyen bit the dust falling to Yogo with A♠ Q♦ improving to a roaring quads aces to defeat J♣ J♠. Zhang took care of the next player. Norway’s Henrik Tollefsen was railed in 7th place with pocket kings over pocket queens. By hand #50, Yogo claimed his next victim sending Sweden’s Roger Spets crashing in 6th place. Prior to busting, Spets suffered a drop in chips when his kings lost to A-9 that completed a straight. Going toe-to-toe with Yogo, Zhang eliminated Yohwan next in 5th place. 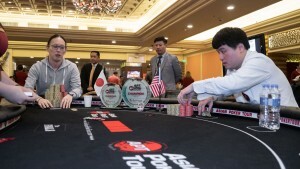 Not long after, Zhang railed WSOP bracelet winner, India’s Aditya Sushant in 4th place. Three-handed was the longest round running a total of 195 hands before the next elimination. 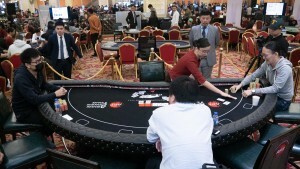 Yogo began to command the action winning pot after pot mostly from Zhang. Both players battled as if it were already the heads up round. 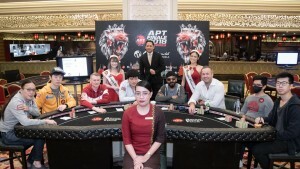 In the end, Zhang couldn’t stay afloat and fell in 3rd place to Anthony Thong Boon Tee. The heads up round kicked off with Yogo holding the advantage of 2.211M over 1.339M. Like he did to Zhang, Yogo dominated the action sending Tee’s stack on a steady decline. Tee was able to chip up on occasion but he still could not prevent the charging Yogo. The final hand saw a board Q♦ 7♠ 6♣ Q♣ with both all in. Yogo had Q♥ 6♦ full house over Tee’s Q♠ J♠ trips. The 10♠ river finished Tee in runner-up and Yogo as the well deserving champion. Overall, the Final 8 race ran a total of 330 hands with 77 of those at heads up.